Describe the more common congenital heart conditions, their repair and and strategies for management in adult patients. Describe evidence based techniques and strategies for CV risk stratification and assessment of obstructive CAD. Key biomarkers of heart failure, inflammation and infarction. Review of their clinical benefits and pitfalls in practice. Describe guideline-based best practices in the use of these biomarkers. Coronary Revascularization:Who, How, What do I do after? My Leg Hurts When I walk! How to evaluate the patient and what treatment to recommend. Summarize the current knowledge regrading atrial fibrillation and evaluate therapeutic options including medication and LAA occlusion. We will discuss the risks, benefits and patients who might be considered for these procedures. I thought I was having a stroke and they told me I have a hole in my heart! What now? Summarize the frequency of PFO in strokes, the relationship of PFO and Atrial septal aneurysms to recurrent events. We will compare treatment options in specific patient groups. Valvular heart disease increases with age. New percutaneous procedures have provided treatments for patients who may not have been considered for treatment before. Assessing the patients clinical status, valvular and ventricular function will allow us to create an individualized plan of care. Dr. Bailey is the Janey Briscoe Distinguished Professor of Medicine and Director of the Janey Briscoe Center of Excellence for Cardiovascular Research. He is the Program Director of the Interventional Fellowship Program. He is also Professor of Radiology. Dr. Bailey received his MD from University of Oregon Health Science Center at Portland and did his postdoctoral training at Fitzsimmons Army Medical Center in Aurora, Colorado. He holds an American Board of Internal Medicine subspecialty board certification in both Cardiovascular Disease and Interventional Cardiology, and is a fellow of the American College of Cardiology (ACC), American Heart Association (AHA), and the Society for Catheterization and Intervention (SCAI). He is the Editor in Chief of Catheterization and Cardiovascular Interventions and serves on the Editorial Boards for JACC Interventions and CRM. Dr. Bailey&apos;s transitional research interest includes nanosensors, nanosynthesized metals and new implantable medical devices and holds several patents in these areas. 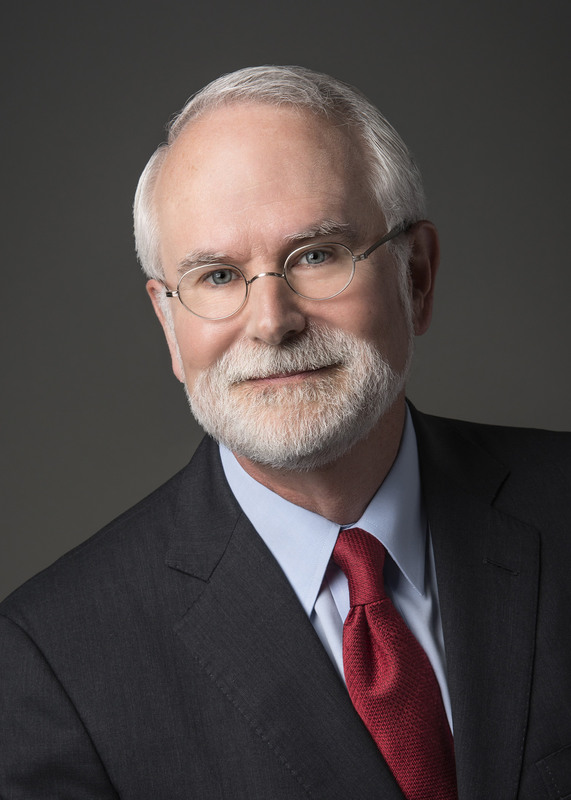 He is past president the SCAI and serves as the program co-director for the Current Controversies in Cardiovascular Medicine, Cardiology Fiesta, and other programs. George Rodgers is a practicing cardiologist and an Associate Professor of Medicine and Associate Chief of Cardiology at University of Texas Dell Medical School. He led the development of the cardiovascular curriculum for the new medical school and teaches medical students and residents on a regular basis. Beyond medical education, he has particular interests in prevention and the early detection of heart disease, team-based care and innovative value-based care for the safety net population. He received the Distinguished Fellow of the American College of Cardiology award in March 2017. Successful completion of this CME activity, which includes participation in the evaluation component, enables the participant to earn up to 14 (part II) MOC points in medical knowledge in the American Board of Internal Medicine&apos;s (ABIM) Maintenance of Certification (MOC) program. Participants will earn MOC points equivalent to the amount of CME credits claimed for the activity. It is the CME activity provider&apos;s responsibility to submit participant completion information to ACCME for the purpose of granting ABIM MOC credit. AAFP Prescribed Credit applied for. Dubrovnik, Croatia - This ancient city is set on a peninsula and surrounded by a 1,000 year old protective wall. Said to be one of the prettiest spots in the world, visiting its old-city, a UNESCO World Heritage Site, is like stepping back in time. Dubrovnik is also a principal filming location for scene's set in "King's Landing" from the blovkbuster book (and television series) "Game of Thrones." There is also excellent snorkeling to be found here in the pristine waters of the Adratic sea. –Pinnacle Suite (PS)Step into a private haven characterized by light, space and elegance. 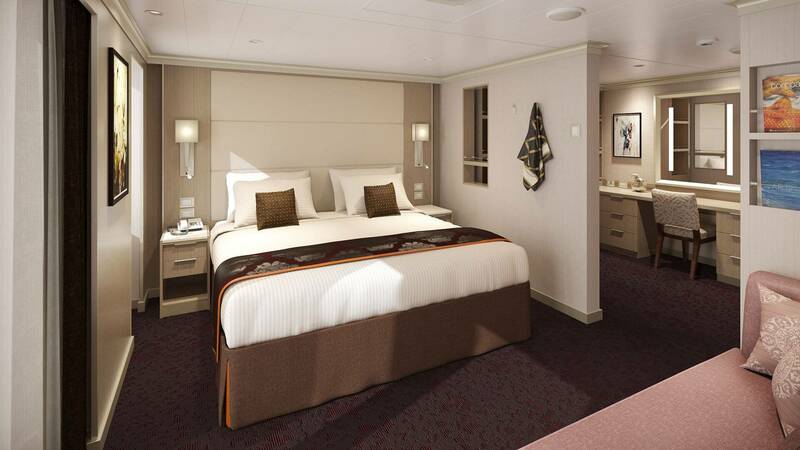 Our interior designer, guided by guest feedback, was given the freedom to completely reimagine staterooms aboard. The result: welcome modern touches such as bedside USB ports and frameless shower glass doors, as well as luxe appointments like customized wooden cabinetry. Bedroom with 1 king-size bed, oversize whirlpool bath & shower & additional shower stall, living room, dining room, dressing room, private verandah with whirlpool, pantry, 1 sofa bed for 2 persons, microwave, refrigerator, guest toilet, private stereo system, floor-to-ceiling windows. Approximately 1357 sq. ft. including verandah. Neptune Lounge: A very special amenity exclusively for guests cruising in a Neptune or Pinnacle Suite, the industry-leading Neptune Lounge features a private place to relax, socialize with other suite guests and enjoy the personalized service of a concierge. The fleet-wide lounges provide worktables, large screen television, library, sofas and chairs, and refreshments throughout the day. One-Touch 24-hour Concierge Service is available when the Neptune Lounge is closed. Please call 800-422-0711 for best pricing. Neptune Suites ( SA ) – Step into a private haven characterized by light, space and elegance. 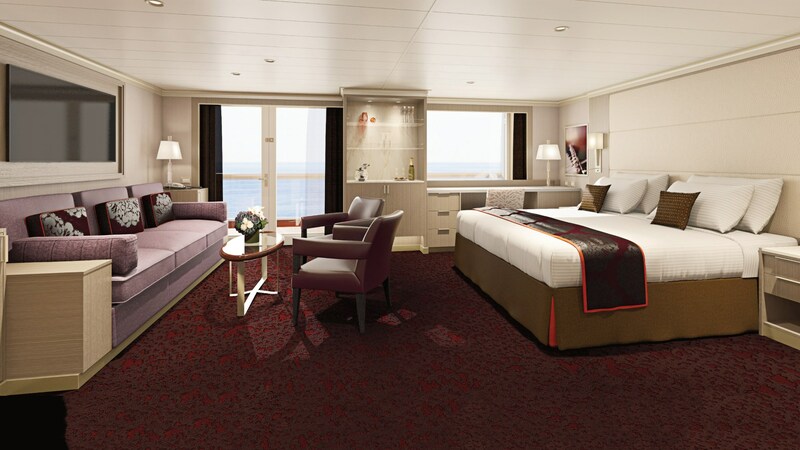 Our interior designer, guided by guest feedback, was given the freedom to completely reimagine staterooms aboard. The result: welcome modern touches such as bedside USB ports and frameless shower glass doors, as well as luxe appointments like customized wooden cabinetry. 2 lower beds convertible to 1 king-size bed, bathroom with dual-sink vanity, full-size whirlpool bath & shower & additional shower stall, large sitting area, private verandah, floor-to-ceiling windows. Approximately 465-855 sq. ft. including verandah. Elegant wooden clothing brush, lint remover and shoehorn for keeping clothing immaculate; fragrant bath salts and exfoliating loofah mitt for an invigorating shower experience; Neptune Lounge: A very special amenity exclusively for guests cruising in a Neptune or Pinnacle Suite, the industry-leading Neptune Lounge features a private place to relax, socialize with other suite guests and enjoy the personalized service of a concierge. The fleet-wide lounges provide worktables, large screen television, library, sofas and chairs, and refreshments throughout the day. One-Touch 24-hour Concierge Service is available when the Neptune Lounge is closed. Signature Suite (SS) Step into a private haven characterized by light, space and elegance. 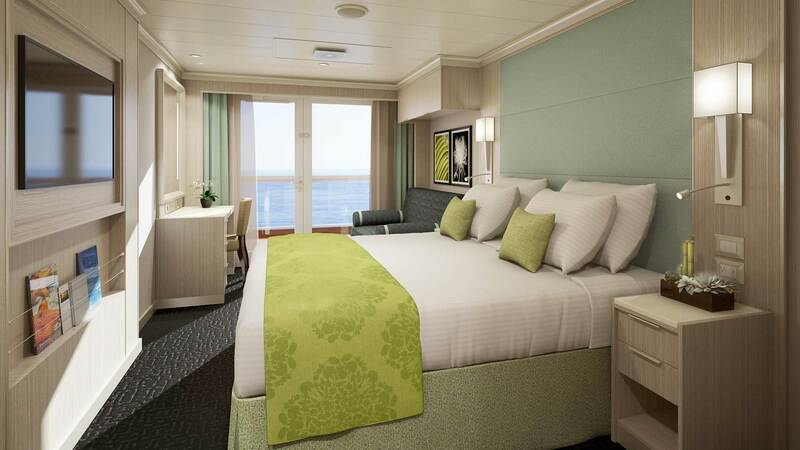 Our interior designer, guided by guest feedback, was given the freedom to completely reimagine staterooms aboard. The result: welcome modern touches such as bedside USB ports and frameless shower glass doors, as well as luxe appointments like customized wooden cabinetry. 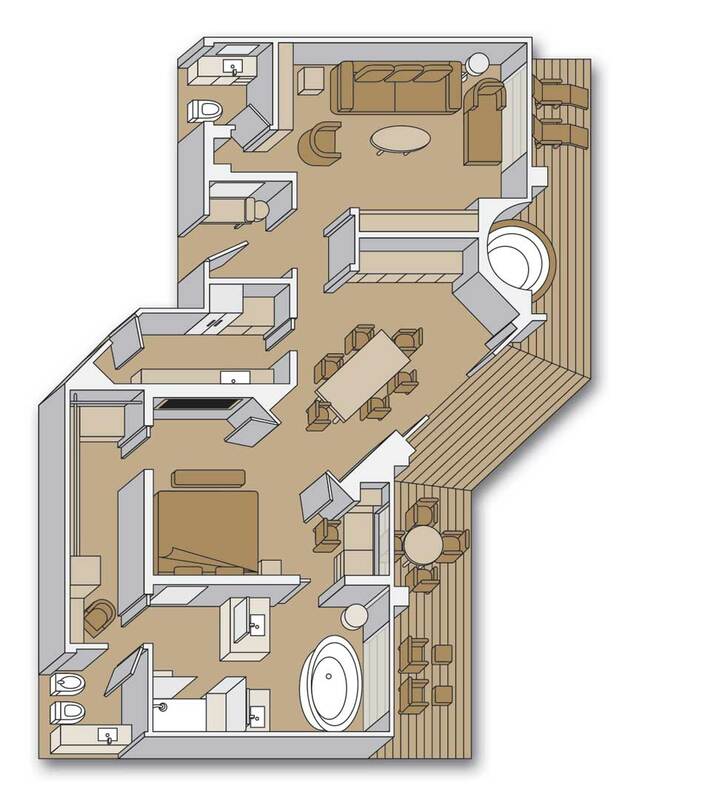 2 lower beds convertible to 1 king-size bed, 1 murphy bed for 1 person, bathroom with dual-sink vanity, full-size whirlpool bath & shower & additional shower stall, large sitting area, private verandah, floor-to-ceiling windows. Vista Suite ( A ) Step into a private haven characterized by light, space and elegance. 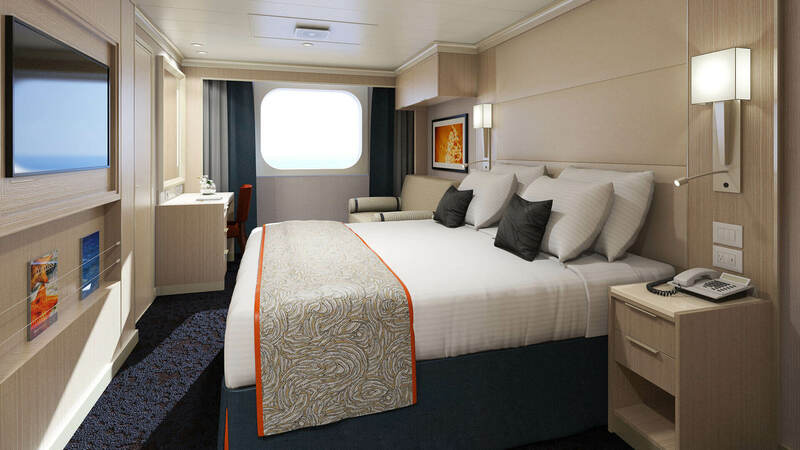 Our interior designer, guided by guest feedback, was given the freedom to completely reimagine staterooms aboard. The result: welcome modern touches such as bedside USB ports and frameless shower glass doors, as well as luxe appointments like customized wooden cabinetry. 2 lower beds convertible to 1 queen-size bed, shower, sitting area, private verandah, floor-to-ceiling windows. Approximately 260&dash;356 sq. ft. including verandah. Spa Verandah Step into a private haven characterized by light, space and elegance. Our interior designer, guided by guest feedback, was given the freedom to completely reimagine staterooms aboard. The result: welcome modern touches such as bedside USB ports and frameless shower glass doors, as well as luxe appointments like customized wooden cabinetry. Room safe, fragrant soaps, lotions, shampoo and other bath amenities from Elemis Aromapure; complimentary fresh fruit on request; elegant ice bucket and serving tray for in-stateroom beverages; flat-panel TV with video-on-demand, ice service, shoeshine service and nightly turndown service, corner bar unit, Mini fridge, Bedside USB ports. Veranda ( VA )- Step into a private haven characterized by light, space and elegance. 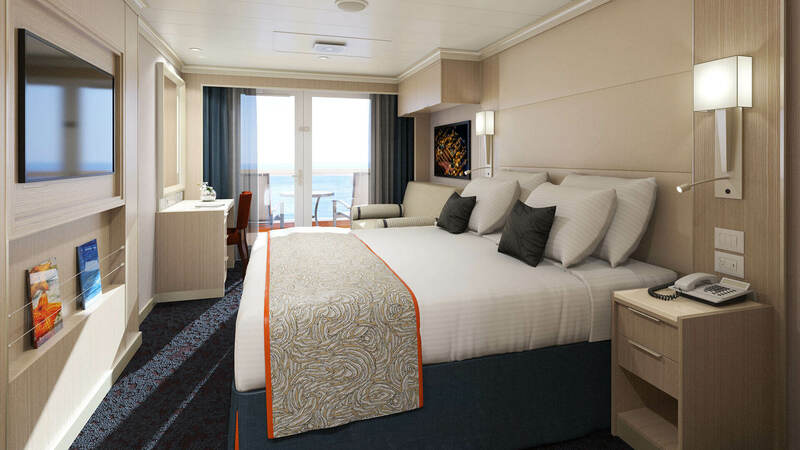 Our interior designer, guided by guest feedback, was given the freedom to completely reimagine staterooms aboard. T he result: welcome modern touches such as bedside USB ports and frameless shower glass doors, as well as luxe appointments like customized wooden cabinetry. Room safe, fragrant soaps, lotions, shampoo and other bath amenities from Elemis Aromapure, complimentary fresh fruit on request, Elegant ice bucket and serving tray for in-stateroom beverages Flat-panel TV with video-on-demand, ice service, shoeshine service and nightly turndown service, corner bar unit, mini fridge, bedside USB ports. Veranda ( VC )- Step into a private haven characterized by light, space and elegance. 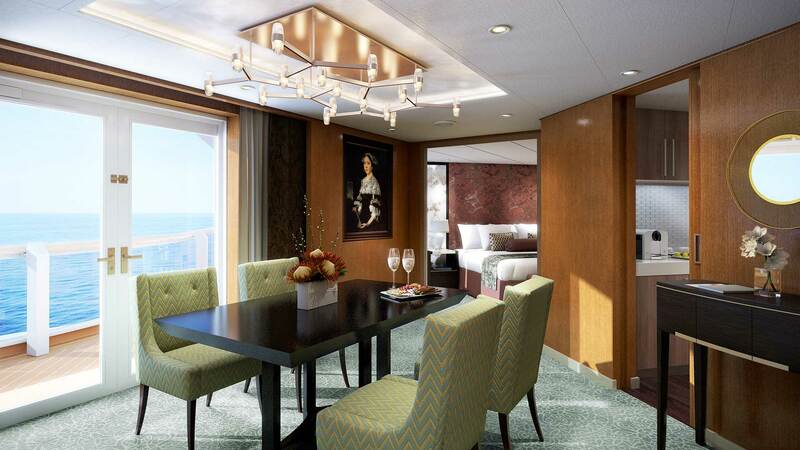 Our interior designer, guided by guest feedback, was given the freedom to completely reimagine staterooms aboard. T he result: welcome modern touches such as bedside USB ports and frameless shower glass doors, as well as luxe appointments like customized wooden cabinetry. Verandah ( VD )- Step into a private haven characterized by light, space and elegance. Our interior designer, guided by guest feedback, was given the freedom to completely reimagine staterooms aboard. T he result: welcome modern touches such as bedside USB ports and frameless shower glass doors, as well as luxe appointments like customized wooden cabinetry. OceanView Stateroom (D )- Step into a private haven characterized by light, space and elegance. 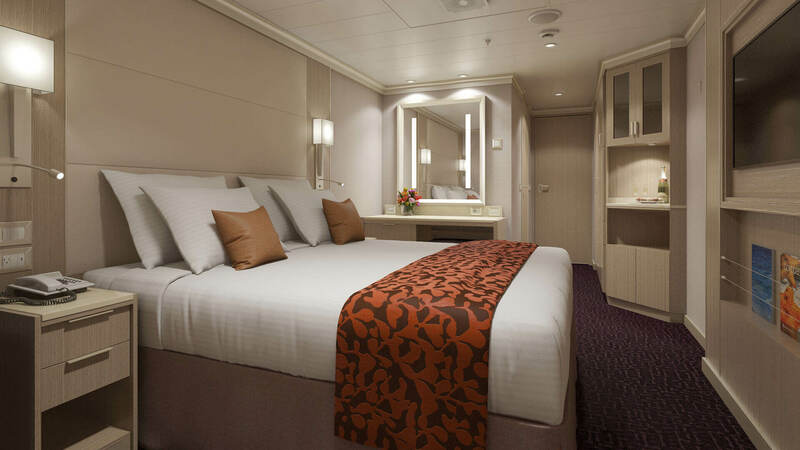 Our interior designer, guided by guest feedback, was given the freedom to completely reimagine staterooms aboard. The result: welcome modern touches such as bedside USB ports and frameless shower glass doors, as well as luxe appointments like customized wooden cabinetry. 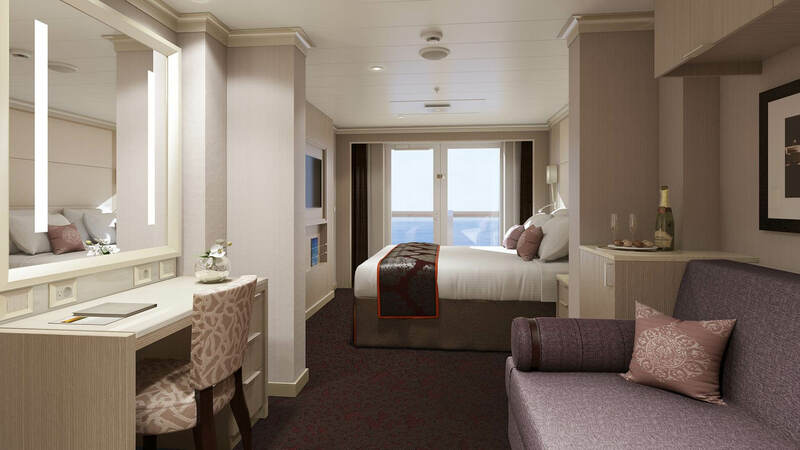 Inside Stateroom ( J )- Step into a private haven characterized by light, space and elegance. Our interior designer, guided by guest feedback, was given the freedom to completely reimagine staterooms aboard. The result: welcome modern touches such as bedside USB ports and frameless shower glass doors, as well as luxe appointments like customized wooden cabinetry. 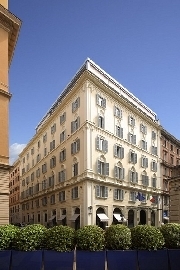 Prices are Per Person based on Double Occupancy . Prices are subject to change. 3rd/4th in Stateroom - Please call 800-422-0711. Ciao Roma! Prepare for departure after breakfast. 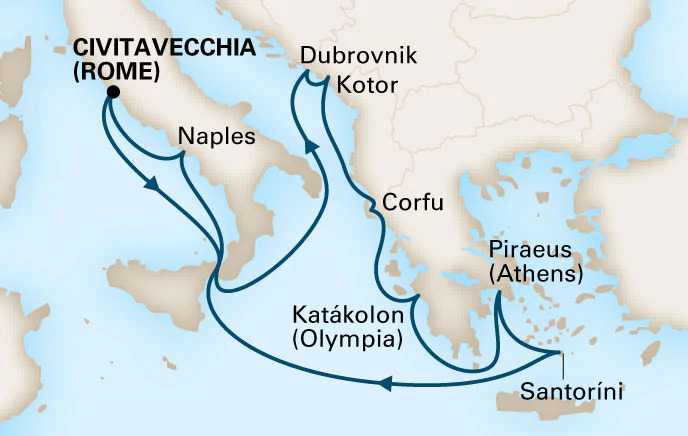 Meet your driver for a private transfer to the Rome Civitavecchia pier.